Now these moments are expected as technology improves, markets mature and breakthroughs are made, but rarely do folks get to encounter the collision of two complementary technologies like we’re seeing with Cloud Computing and Big Data. 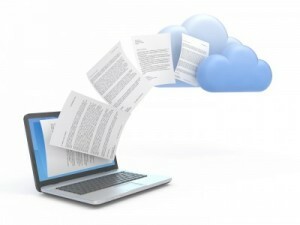 “The Cloud” has been kicking around for some time and is still somewhat ill-defined, but can loosely be seen as remote computing and data storage services ranging from eReader stores to paying for on-demand processing and storage services. “Big Data” on the other hand is just starting to get recognition, most notably with Nate Silver’s uncanny, data driven prediction of the most recent United States elections. In short – a combination of cloud messaging and analysis services lead to a quick, effective, ad-hoc international cooperative that quickly answered a simple question. So what’s the point? Easy – technology is really, really cool, but not only that. Technology, if used correctly and done in a collaborative manner can be incredibly powerful. It can help answer questions that otherwise would go unanswered. It has helped solve medical issues, predict an election with a high degree of accuracy, and in Veracode’s case, enable developers worldwide to identify software flaws while also helping improve the very engine that they’re submitting to. At the end of the day, the collision of these two technologies can and will be used for the greater good. 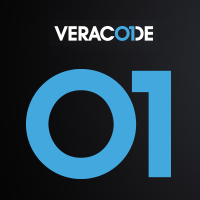 We at Veracode see it in the form of our State of Software Security reports, infographics and a variety of other analysis we provide for free to the greater community. On a broader scale it can hopefully help make the world a healthier, happier place. The short answer is that we don’t see widespread use of Java7 in our customer base. To be fair, our full Java7 support has been out for less than a couple of months, but in that timeframe less than 0.3% of all Java applications submitted are in Java7. Of those submissions all were from commercial organizations well known for their quick adoption of technology, and even those were a small subset of their individual submissions. While our data doesn’t show much in the way of Java7 adoption there are other sample sets (also admittedly small) that see the exact opposite, such as the Jelastic blog post that is well summarized by Henrik Stahl at https://blogs.oracle.com/henrik/entry/java_7_adoption_at_79.